By now you should have booked your tickets for the Gumtree World Rallycross of South Africa event, taking place on the 24th and 25th of November. And if you already have, then clear your diary for the whole weekend, because there won’t be time to do anything else. It’s not just the unbelievably fast cars and nail-biting races that will keep fans entertained for two full days at the Killarney International Raceway in Cape Town, it’s the jam-packed itinerary and some extra-special ambassadors that will ensure that, come Sunday night, you’ll be totally, wonderfully, completely exhausted. The plethora of racing over the weekend is astounding, from the moment gates open at 09h00 on Saturday morning until it’s all over at 6pm on Sunday evening. 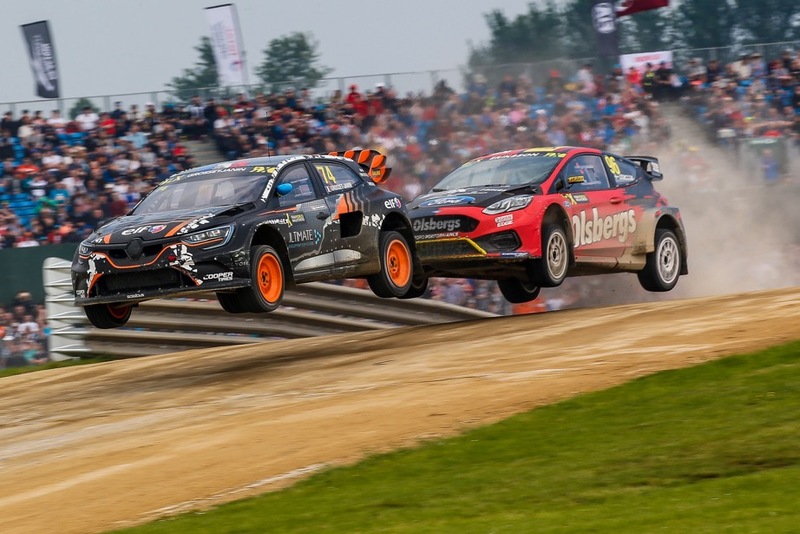 Punters will get to see the incredible World RX Supercars, RX2 and Super1600 cars in action over a number of warm-ups, practice sessions and eliminating heats to semi-finals and head-to-head finals over the entire weekend. The cars with the world’s champion and top rally and rallycross drivers will display the craft when up to five cars pile into the first corner at speeds of around 200km/h. This is possible with the horsepower and torque of the RX2 cars clearing 0-100km/h in some 3.5 seconds and the Supercars reaching the 100-mark in just 1.9 seconds. Every pulse will be racing as these ridiculously fast cars fly around the track. There will be thrills. There will be spills. There will be speed. And there will be winners who will take to the podium and receive their deserved accolades on Sunday afternoon. In addition to all the on-track action, there are numerous breaks where even more high-octane antics take centre stage. Two displays of precision flying by the Silver Falcons Aerial Display Team of the South African Air Force will light up the sky, the FMX Show will enthral on a number of occasions, as will the Monster Energy Rig Riot. 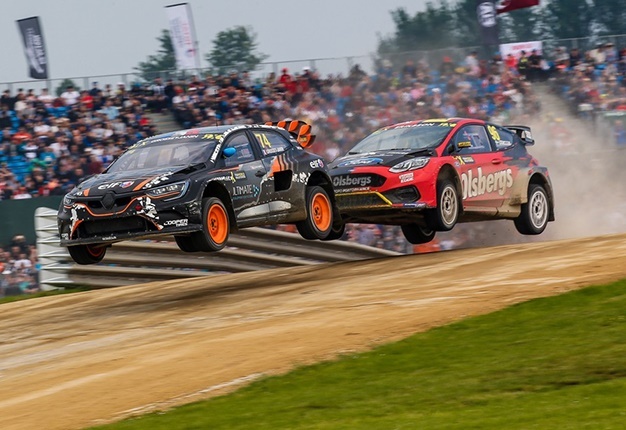 Throughout the weekend there will be 10-minute breaks to enjoy some crazy car antics in the Drift and Cross Car Demo, and in addition, there will be two autograph sessions with the drivers, one on each day. If your dream is to have something signed by current World Champion Johan Kristoffersson, or any of the other incredible drivers, then don’t miss this. And that’s not all! Showing their support for all this adrenalin-fuelled happening are a host of popular ambassadors who will be doing their thing on Saturday and Sunday. Marius Roberts is the official commentator for the event, and he’s joined by motoring enthusiasts such as legendary racer Sarel van der Merwe, Jacob Moshokoa, news anchor on 947 Breakfast Express and all-around vehicle fundi, the much-loved DJ and car lover Ready D, local WRX drivers Mark Cronje and Ashley Haigh-Smith, racing driver and motorsport commentator Graham Duxbury and motorsport journalist, Junaid Samodien. Also in the mix is rugby idol, Chester Williams and KFM presenter, Ryan O’Connor. “An international event of this magnitude and importance – televised to 160 countries – showcases Cape Town as a tourism and investment destination with multiple benefits for our economy,” enthuses Ald JP Smith, Cape Town Mayoral Committee Member for Safety, Security and Events. “The City recently won the award for being ‘Africa’s Leading Festival & Events Destination’ at the 2018 World Travel Awards. This bears testament to our capability to host such international events. “The unique location, the backdrop of Table Mountain as one of the world’s New Seven Wonders of Nature, the 71-year-old history of Killarney International Raceway, and world-class racers in super-fast cars will provide an unforgettable experience. “We look forward to welcoming the international teams, their fans and families from across the world, to Cape Town for a memorable experience,” Smith adds.